F. Michael Tucker has served as President and CEO of Columbia Economic Development Corporation (CEDC) since July 2015. Prior to joining CEDC, Mike served for eight years as president and CEO of the Center for Economic Growth (CEG), the premier economic development and regional marketing organization in New York State’s Tech Valley region. Mike, an attorney, real estate broker, and registered lobbyist, has extensive legal, financial, energy, and real estate development experience. Prior to joining CEG, he served as president and CEO of the Harriman Research and Technology Development Corp., a subsidiary of Empire State Development, and was a principal for more than 25 years at Mercer Companies, Inc., an Albany-based energy and real estate development firm with projects throughout upstate New York. Mike graduated from Villanova University with a B.A. in Economics and earned a J.D. from Villanova School of Law. 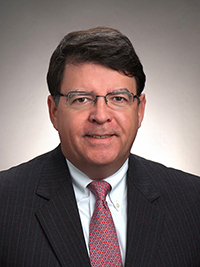 He is active in legal, real estate, and economic development organizations at the local, state, and national levels. He is a former chair of the Town of Bethlehem Industrial Development Agency and has served as a director of the New York State Economic Development Council. He serves as a trustee of Ulster Savings Bank, and is on the board of numerous not-for-profit organizations throughout Tech Valley. Mike also serves as President and CEO of Tucker Strategies, Inc., an Albany-based real estate, energy, economic, and business development consulting practice.